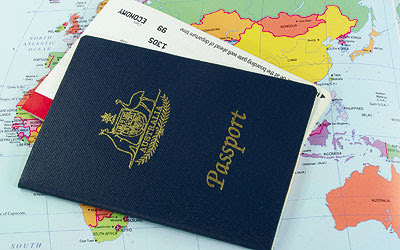 Perth Hacks - best tips, hints and bargains: How Easy Is It to Replace a Lost Passport Overseas? How Easy Is It to Replace a Lost Passport Overseas? There are times in a world of convenience that we forget not everything comes to us as fast as a Big Mac with fries. One of those things is the replacement of a passport. We can quite easily underestimate the importance of a passport when travelling. You will often need to travel to the country's capital such as Bangkok in Thailand to get a replacement passport. But how do you get there? In Australia, you don't even need photo ID to travel by plane within the country but in Thailand even if it is a domestic flight, you will need your passport. Have a read of this article to see how hard it was for one reporter to get back to Australia after losing his passport and you may cling a little more tightly to your passport when you are next abroad.